In order to get the most out of making your own e-juice at home and to ensure your e-liquid comes out right, you need to have the proper equipment. If your measurements are off, you might end up with too strong of a flavor or a solution that doesn’t properly vaporize. Thanks to our line of quality and affordable vape accessories online, it has never been easier to create your own e-juice from home. Our line of DIY e-juice supplies has everything from simple beakers and graduated cylinders to help you measure out your desired flavoring, to more complex syringes and needle tips to precisely fill your storage bottles. Further, we also offer a test vape tool kit to make sure that you are getting quality results each time you try to create your own e-liquid. So what are you waiting for? 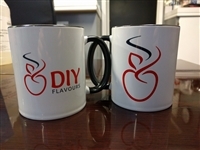 Start saving money by creating your own signature e-juice creations at home with DIY Flavours.